Great for holding candy, cake pops, and other baked goods securely while dipping them into chocolate. This dipping fork helps get your project from the chocolate bowl to your baking sheet in a breeze. Used to thin down your chocolate or may be colored to paint your chocolates. Make your edible creations come to life with edible icing eyes. Icing eyes may be added to chocolates, cakes, cupcakes, cookies, or hard candy to add eyes to your creations. These icing eyes are 5/16" inches and have a quantity of 1,000. Make your edible creations come to life with edible icing eyes. Icing eyes may be added to chocolates, cakes, cupcakes, cookies, or hard candy to add eyes to your creations. These icing eyes are 1/4" inches and have a quantity of 1,000. Make your edible creations come to life with edible icing eyes. Icing eyes may be added to chocolates, cakes, cupcakes, cookies, or hard candy to add eyes to your creations. These icing eyes are 3/8" inches and have a quantity of 1,000. Make your edible creations come to life with edible icing eyes. Icing eyes may be added to chocolates, cakes, cupcakes, cookies, or hard candy to add eyes to your creations. These icing eyes are 7/16" inches and have a quantity of 1,000. Make your edible creations come to life with edible icing eyes. Icing eyes may be added to chocolates, cakes, cupcakes, cookies, or hard candy to add eyes to your creations. These icing eyes are 1/2" inches and have a quantity of 1,000. Make your edible creations come to life with edible icing eyes. Icing eyes may be added to chocolates, cakes, cupcakes, cookies, or hard candy to add eyes to your creations. These icing eyes are 9/16" inches and have a quantity of 1,000. Make your edible creations come to life with edible icing eyes. Icing eyes may be added to chocolates, cakes, cupcakes, cookies, or hard candy to add eyes to your creations. These icing eyes are 3/16" inches and have a quantity of 1,000. Paint brushes are great for adding designs to your baked goods. These may be used to paint chocolate molds or painting fondant cakes and/or cookies. Want to make cake pops? Our sucker sticks are perfect for all your pops. These sucker sticks are 6" X 5/32" inches with a quantity of 1,000. These size of sucker sticks are great for cake pops. 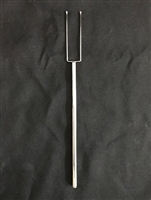 Need sucker sticks for chocolate fountains, fruit, small chocolate suckers, or any smaller projects our 4 1/2X5/32 inch sucker sticks are perfect for the occasion. quantity of 1,000. These 3 1/2X5/32 sucker sticks are great for chocolate fountains, small chocolate suckers, and other small projects. Quantity 1,000.